Paragon City is under attack! Villains from the Rogue Isles have recruited the help of various villain groups, and have begun targeting Paragon City’s banks to cause mayhem and chaos while making some quick money in the process. Even Arachnos has been participating in these robbery attempts, in open defiance of the law! 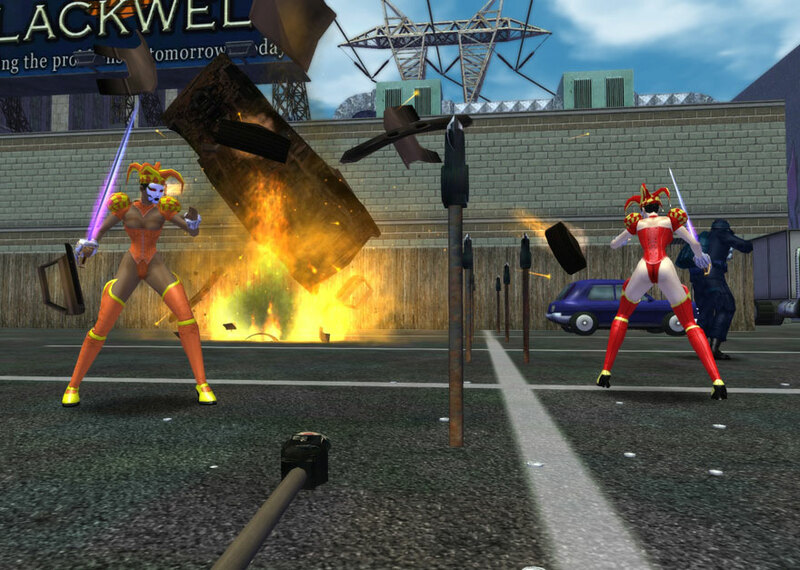 Paragon City needs its heroes to thwart these attacks! Hard-working detectives with the Paragon Police Department are ever-vigilant, looking for clues that could predict when a robbery will occur. When they uncover evidence of an impending attack, PPD detectives will bring it to the attention of a hero that they've worked with on several cases. This guide has been created to aid those brave heroes by providing information and strategies that can thwart the robbery attempts, and help heroes identify any additional potential threats. Your primary objective in the Safeguard Missions is to prevent the robbery of one of the city's banks. Upon arrival in a safeguard operation, you should review your mini-map to identify the bank’s location, and make your way there as quickly as possible. You won’t have more than a few minutes to reach the bank before the robbery starts. Once it has begun, the main boss will make his or her way to the vault to destroy the vault door and rob the bank. Do everything you can to prevent this from happening. Defeat the main boss and his accomplices inside of the bank, and your primary mission will be complete. If the boss manages to destroy the vault door, a warning message will be displayed, and every villain in the bank will attempt to escape. Don't give up yet, you can still save the day! If you defeat all of the villains from the bank before they escape, you can still complete the mission; however, if even one villain makes it to their exit, they will have escaped with their stolen goods and the mission will be a failure. TIP: Control your surroundings with your powers! If the vault is destroyed while you are engaged in the lobby, use an AoE slow power if you have one, such as Caltrops or Tar Patch. You can make this even more effective by placing them near doorways to create choke-points. This will allow you to control the villains and give you a better chance to successfully stop the robbery. And don't forget about taunts and powers with stun or knockback effects, either! 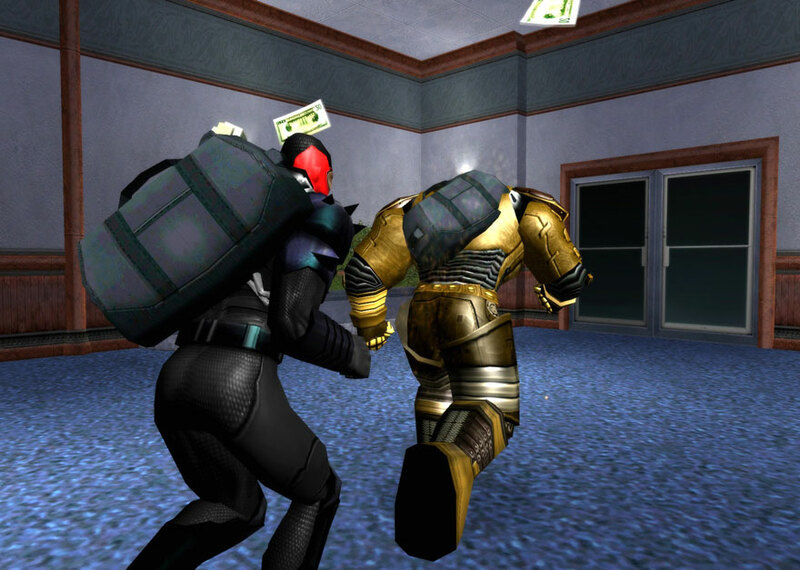 TIP: The villains who destroyed the vault will have money bags strapped to their backs, and all of the villains you must defeat will have a specific display name to help you identify them. If you see “Robber,” “Thief” or “Looter” in a villain's name or see someone running with a bag of loot, take them down quickly! Once the thieves have been defeated, you will have an opportunity to clean up the streets for additional experience, badges, and temporary powers. Once the bank robbery has been taken care of, a 15 minute timer will be displayed on your compass. This is your time limit to clean up the streets. 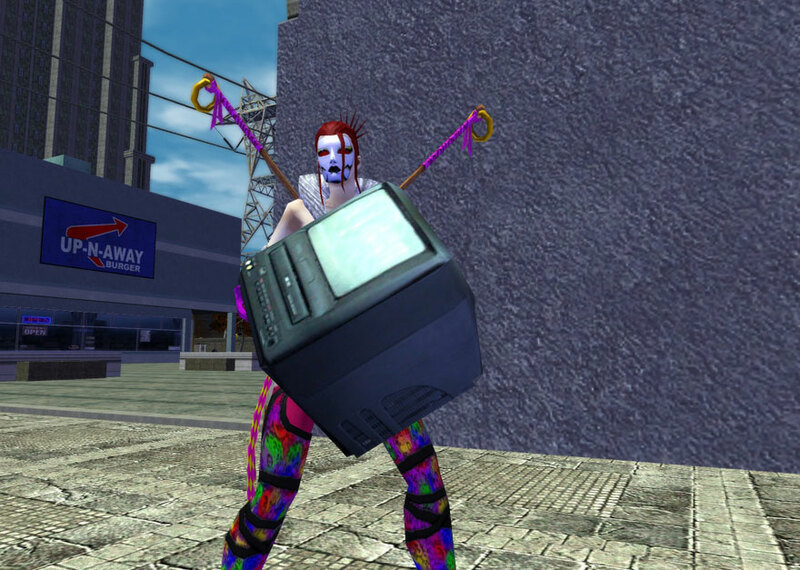 You can add time to the clock by completing side missions and defeating vandals; however, you can also lose time if vandals cause too much damage. When the timer reaches zero, the PPD will lock down the area and you will automatically exit from the mission. Vandals are villains who have only one objective: to vandalize the city. When the vandals arrive, they will follow a path to a specific location and attempt to destroy property. Defeating these vandals will yield you a time bonus, but if you leave them alone for too long they may cause enough damage to cost you time. TIP: When the warning text for the vandals appears, open your mini-map, and look for a flashing red icon. That will show you the Vandal's destination. You can use this information to stop them cold! The bank robbery has enabled the various villain groups of the city to begin their own nefarious operations. Identifying and stopping them will yield you extra experience, additional time bonuses, and possibly a temporary power for you to use! To start a side mission, you will need to find the “keys” to each mission. There will be villains acting suspiciously in each map, and their activities and dialog will help to identify which side mission you will be activating (for example, villains examining and cleaning weaponry would activate the weapon raid side mission). Villains are attempting to set a building on fire! You must put a stop to them before it’s too late. Look for villains tossing around fire bombs; these are the "key" villains for this side-mission. Defeat them and you will be warned that you have three minutes to stop the arson attempt. Open your mini-map, and locate the building you need to save. When you enter the building, you’ll be inside a heavily guarded lobby where the villains have planted four bombs. Defeat the villains and click on the bombs to defuse them, but be wary of an attack by villain reinforcements! If you don’t defuse the bombs in time they will detonate, you will fail the side-mission and the building will be set on fire. TIP: Stealth powers can be quite useful here. If you or anyone in your party has a stealth power, have that hero grab the bombs. This can save a lot of time. Be careful though, once you begin defusing a bomb, your stealth power will lose some of its effectiveness, and you may get spotted! In addition to the bank, several businesses in the city have been targeted for robbery. The villains' objective is to break into the vault or secured area. If you find villains carrying boxed merchandise around, you can bet they are involved. Defeat them and head to the shop as quickly as possible. Once inside, clear out as many of the villains as you can, and make your way to the secured area, located at the back of the shop. Defeat the villains who are attempting to break into the vault, and then defeat their reinforcements and victory will be yours! TIP: There are hostages in each shop. Rescue them, and you will earn either an enhancement, or salvage pieces that give credit for the Bloody Bay Shivan Strike or Warburg Missile Launch mini-games! Villains are planning to destroy buildings in Paragon City. They've blown paths through the sewers to reach the building from below! The villains have planted four bombs to destroy the building and cover their tracks. Additional villains are attempting to bring more bombs in from the topside, so if you see them, stop them to find out where to go. From here, you will have 6 minutes to reach to the bomb site and defuse the bombs. Once inside the sewers, make your way to the building and defuse any bombs you may find on your way. The villains will send reinforcements after you when you enter the building, so be careful. If you do not defuse the bombs in time, the building will be set on fire by the explosion. TIP: Much like the arson mission, stealth is very beneficial here. Make sure to utilize it to get to the bombs quickly, but be careful of defusing the bombs near a villain! TIP: The villains will go after the first person to enter the building. If you are on a team, send a tanker or other character with good defenses in first, then spread out and go after the bombs. Paragon City's villains are selling illegal weapons to other villain groups. These weapons could shift the balance of power if they hit the streets, so if you can intercept them you’ll do a major service to the safety and security of the city. 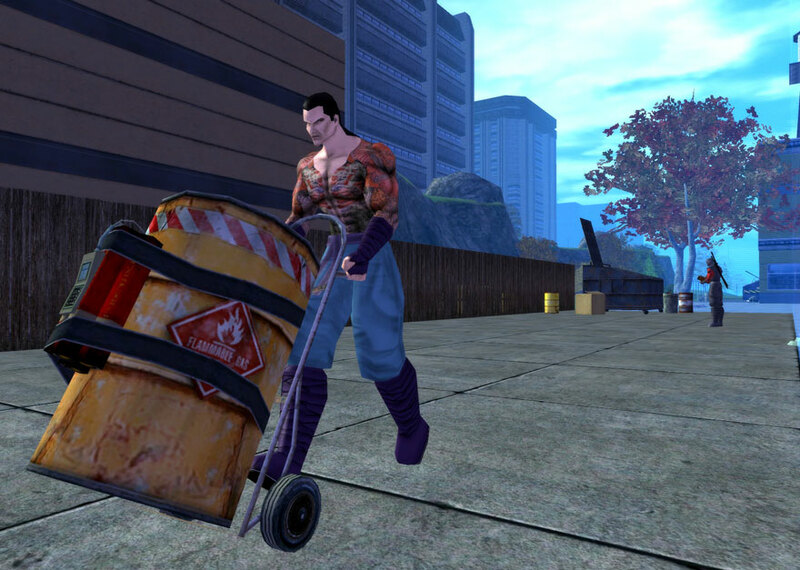 If you spot any villains cleaning or examining weaponry on the streets, make sure to take them out to find the location of the warehouse the deal is going down in. Make your way to the warehouse, find the stash of weaponry, and confiscate it. Successful confiscation of the weapon will yield you an experience bonus, time bonus, and the hero who confiscated the weaponry will be granted a temporary power! TIP: Keep an “ear” out for any villains talking about a weapons deal. These villains will be the “key” to this side mission. While securing the area, you may stumble across a PPD officer being held up by villains. If you rescue the officer, you’ll be tipped off on a jailbreak attempt in progress at the PPD station. Villains from the Rogue Isles are being broken out by local villains. You must prevent the Rogue Isles villain from escaping the law! Once inside the station, you’ll notice that there are other PPD officers being held hostage. Fight hard to rescue them as quickly as possible and they will assist you. Make your way down to the jail cell area, and defeat the Rogue Isle villain before he or she can escape. Be wary of any villain reinforcements that may try and help complete the jailbreak. If you defeat the Rogue Isle villain, the PPD officers you rescued will continue to assist you until the end of the mission. TIP: The PPD officers can serve as valuable reinforcements. If you have the opportunity to do the breakout side mission first, having the PPD to help you will make the rest of your mission easier. Saving the city's citizens and institutions is its own reward, but there are other benefits a hero can earn for fighting crime. There are several badges you can attain over the course of your Safeguarding career. Each map contains one exploration badge, and there are six other achievement badges you can earn. There are a total of 15 badges associated with the Safeguard missions. Try to earn them all! Each Safeguard mission presents the opportunity to receive up to two temporary powers, one as a reward for preventing the bank robbery, and one as a reward for completing the weapon raid side mission. Please note that while everyone on a team will get a temporary power for preventing the bank robbery, only the hero who confiscates the weapons in the raid mission will get that temporary power reward. View the Safeguard Missions video.